On March 6, 2014, pursuant to paragraph 41.1(1)(a) of the Special Import Measures Act, the President of the Canada Border Services Agency made a new final determination of dumping respecting liquid dielectric transformers having a top power handling capacity equal to or exceeding 60,000 kilovolt amperes (60 megavolt amperes), whether assembled or unassembled, complete or incomplete, originating in or exported from the Republic of Korea. On March 2, 2012, the Canada Border Services Agency (CBSA) received a written complaint from ABB Inc. (ABB) of Varennes, Quebec, and CG Power Systems Canada Inc. (CG) of Winnipeg, Manitoba (complainants), alleging the injurious dumping into Canada of certain liquid dielectric transformers originating in or exported from the Republic of Korea. On March 23, 2012, pursuant to paragraph 32(1)(a) of the Special Import Measures Act (SIMA), the CBSA informed the complainants that the complaint was properly documented. The CBSA also notified the government of the Republic of Korea that a properly documented complaint had been received. On April 23, 2012, pursuant to subsection 31(1) of SIMA, the President of the CBSA (President) initiated an investigation respecting the dumping of certain liquid dielectric transformers from the Republic of Korea. On June 22,2012, pursuant to subsection 37.1(1) of SIMA, the Canadian International Trade Tribunal (Tribunal) made a preliminary determination that there was evidence that discloses a reasonable indication that the dumping of certain liquid dielectric transformers from the Republic of Korea had caused injury or was threatening to cause injury. On July 23, 2012, as a result of the CBSA’s preliminary investigation and pursuant to subsection 38(1) of SIMA, the President made a preliminary determination of dumping with respect to certain liquid dielectric transformers originating in or exported from the Republic of Korea and began imposing provisional duties on imports of the subject goods pursuant to subsection 8(1) of SIMA. On July 24, 2012, the Tribunal initiated a full inquiry pursuant to section 42 of SIMA to determine whether the dumping of the above-mentioned goods had caused injury or retardation or was threatening to cause injury to the Canadian industry. On October 22, 2012, the President made a final determination of dumping pursuant to paragraph 41(1)(a) of SIMA and on November20,2012, the Tribunal made a finding that the dumping had caused injury to the domestic industry. On November 21, 2012, an application for judicial review of the CBSA’s final determination of dumping was made to the Federal Court of Appeal (FCA) by Hyundai Heavy Industries Co., Ltd. (HHI), one of the parties to the investigation. The primary issue brought before the FCA involved the determination of the amount for profit in Canada that was used as part of the deductive export price of the imported goods. On December 6, 2013, the FCA issued a decision that set aside the CBSA’s final determination of dumping and referred the matter back to the President for reconsideration in accordance with the Court’s reasons. The President has reconsidered the matter and, on the basis of the evidence, is satisfied that certain liquid dielectric transformers originating in or exported from the Republic of Korea have been dumped and that the margin of dumping is not insignificant. Consequently, on March 6, 2014, the President made a new final determination of dumping pursuant to paragraph 41.1(1)(a) of SIMA. At the initiation of the original investigation, the CBSA identified two potential importers of the subject goods under investigation based on CBSA import entry documentation and an Importer Request for Information (RFI) was sent to each party. Shortly thereafter, an additional importer was identified and an Importer RFI was forwarded to this company. The CBSA received responses to the Importer RFI from all three importers: HICO America Sales & Technology Inc. (HICO), Hyundai Canada Inc. (HC) and Remington Sales Co. (Remington). Remington is also known as Remington Transport and Hyundai Heavy Industries Canada. At the time of the preliminary determination, these submissions were considered sufficiently complete to allow for the calculation of preliminary margins of dumping. During the final phase of the original investigation, the CBSA received additional information from all three importers to clarify and substantiate their original submissions. As a result, the CBSA considered the responses from these three importers to be substantially complete for purposes of the new final determination. At the initiation of the original investigation, the CBSA identified five potential consignees of the subject goods under investigation and a Consignee RFI was sent to each party. The consignee is named on the customs documentation and is generally the company in Canada that the goods are shipped to. The CBSA received responses to the Consignee RFI from three out of the five companies: ATCO Electric Ltd., BC Hydro and Power Authority and Hydro One Networks Inc. At the time of the preliminary determination, these three submissions were considered sufficiently complete. During the preliminary investigation, 13 additional consignees were identified from the submissions received. At the preliminary determination, these parties were notified of the investigation and requested to respond to the Consignee RFI. The CBSA received responses from three additional consignees during the final phase of the original investigation: Enmax Power Corporation, Epcor Distribution and Transmission Inc. and Hatch Ltd. As a result, the CBSA considered the responses from all six consignees to be substantially complete for purposes of the new final determination. At the initiation of the original investigation, the CBSA identified three potential exporters of the subject goods under investigation based on CBSA import entry documentation. An Exporter RFI was sent to each party. Two of the exporters were located in the Republic of Korea, while the third was located in the United States of America (US). The CBSA received responses to the Exporter RFI from both Korean exporters: Hyosung Corporation (Hyosung) and HHI. At the time of the preliminary determination, these submissions were considered sufficiently complete to allow for the calculation of preliminary margins of dumping. During the final phase of the original investigation, the CBSA received additional information from both exporters to clarify and substantiate their original submissions. As a result, the CBSA considered the responses from both exporters to be substantially complete for purposes of the new final determination. For purposes of the initiation of the original investigation, imports of Power Transformers from all countries were estimated based on CBSA import documentation. In instances where it was not clear whether the product described on the import documentation constituted a Power Transformer, a value for duty unit price threshold of $350,000 was applied whereby importations above this threshold were assumed to be Power Transformers. During the final phase of the original investigation, import statistics were reviewed and refined. Commercial invoices for all importations into Canada from all countries with a value for duty unit price greater than $200,000 were reviewed in instances where it was not clear whether the product described on the import documentation constituted a Power Transformer. This resulted in the exclusion of numerous goods from all countries that had been previously included in the preliminary estimation of imports. During the final phase of the original investigation, CBSA officers conducted on-site verification visits at the exporters’ premises in the Republic of Korea. Following the referral back to the President by the FCA, the CBSA recommenced the investigation and invited interested persons to file written submissions presenting facts, arguments and evidence relevant to the dumping investigation. Parties were also solicited and provided with the opportunity to submit and substantiate information relating to the determination of the amount for profit in Canada under section 22 of the Special Import Measures Regulations (SIMR). The export price of goods sold to importers in Canada is generally determined based on the lesser of the adjusted exporter’s selling price or the adjusted importer’s purchase price. These prices are adjusted, where necessary, by deducting the costs, charges, expenses, duties and taxes resulting from the exportation of the goods as provided for in subparagraphs 24(a)(i) to 24(a)(iii) of SIMA. Where there are sales between associated persons or a compensatory arrangement exists, the export price may be determined based on the importer’s resale price of the imported goods in Canada to non-associated purchasers, less deductions for all costs incurred in preparing, shipping and exporting the goods to Canada that are additional to those incurred on the sales of like goods for use in the country of export, all costs that are incurred in reselling the goods (including duties and taxes) or associated with the assembly of the goods in Canada and an amount representative of the average industry profit in Canada, pursuant to paragraphs 25(1)(c) and 25(1)(d) of SIMA. Where, in any cases not provided for under paragraphs 25(1)(c) and 25(1)(d) of SIMA, the export price is determined in such manner as the Minister specifies, pursuant to paragraph 25(1)(e). Where, in the opinion of the President, sufficient information has not been furnished or is not available, export prices are determined pursuant to a ministerial specification under subsection 29(1) of SIMA. The FCA set aside the original final determination and referred the matter back to the President for reconsideration. The primary issue before the FCA involved the determination of the amount for profit in Canada that was used in determining the export price of the imported goods pursuant to section 25 of SIMA. The CBSA has reconsidered the matter and determined the amount for profit based on information obtained during the original investigation and additional information obtained during the reconsideration process. Based on the preceding, 100% of Power Transformers released into Canada during the POI from the Republic of Korea were dumped by a margin of dumping of 12.7%, expressed as a percentage of the export price. Under section 41of SIMA, the President shall make a final determination of dumping when he is satisfied that the goods have been dumped and that the margin of dumping of the goods of a country is not insignificant. Pursuant to subsection 2(1) of SIMA, a margin of dumping of less than 2% of the export price of the goods is defined as insignificant. The margin of dumping of Power Transformers from the Republic of Korea is not less than 2% of the export price of the goods and is, therefore, not insignificant. Hyosung is a producer and exporter of Power Transformers to Canada from the Republic of Korea, its importer being HICO. Hyosung also sells goods of the same general category in its domestic market. The cost of production was determined pursuant to paragraph 11(1)(a) of the SIMR based on Hyosung’s verified cost data relating to the subject goods exported to Canada. A reasonable amount for administrative, selling and all other costs was determined pursuant to subparagraph 11(1)(c)(i) of the SIMR. The amount for profits was based on Hyosung’s weighted average profit made on domestic sales of goods of the same general category as the subject goods sold to Canada pursuant to subparagraph 11(1)(b)(ii) of the SIMR. The domestic sales that were selected were those that were shipped during the PAP and an adjustment to this database was made prior to the profitability analysis to exclude certain sales pursuant to paragraph 16(1)(e) of SIMA such that domestic sales chosen were those in the same quantities as those purchased by the importer. Since Hyosung is related to its importer, HICO, a reliability test was performed to determine whether the section 24 export prices between Hyosung and HICO were reliable as envisaged by SIMA. The test was conducted by comparing the section 24 export prices with the paragraph 25(1)(d) "deductive” export prices. The section 24 export prices were based on the exporter’s selling prices, adjusted to take into account all costs, charges and expenses incurred in preparing the goods for shipment to Canada and resulting from the exportation and shipment of the goods. A present value adjustment was also made to the selling prices to account for deferred payment terms pursuant to paragraph 27(1)(a) of SIMA. The paragraph 25(1)(d) export prices were based on the importer’s sale prices of the imported goods as assembled to non-associated purchasers, less deductions for all costs incurred in preparing, shipping and exporting the goods to Canada that were additional to those incurred on sales of like goods for use in the country of export, all costs that were incurred in selling the goods in Canada (including duties and taxes), the costs associated with the assembly of the goods in Canada and an amount for profit from sales of like goods in Canada by vendors at substantially the same trade level as the importer pursuant to paragraph 22(a) of the SIMR. A present value adjustment was also made to the selling prices to account for deferred payment terms pursuant to paragraph 27(1)(a) of SIMA. The test revealed that the export prices determined pursuant to section 24 of SIMA were unreliable and therefore, export prices were determined pursuant to paragraph 25(1)(d). The total normal value was then compared with the total export price for all subject goods released into Canada during the POI. The results revealed that the subject goods exported to Canada by Hyosung were dumped by a margin of dumping of 34.8% expressed as a percentage of the export price. HHI is also a producer and exporter of Power Transformers to Canada from the Republic of Korea, its importers being HC and Remington. HHI also sells goods of the same general category in its domestic market. Since HHI is related to its importer, HC, a reliability test was performed to determine whether the section 24 export prices between HHI and HC were reliable as envisaged by SIMA. The test was conducted by comparing the section 24 export prices with the paragraph 25(1)(d) "deductive” export prices. The section 24 export prices were based on the exporter’s selling prices, adjusted to take into account all costs, charges and expenses incurred in preparing the goods for shipment to Canada and resulting from the exportation and shipment of the goods. A present value adjustment was also made to the selling prices to account for deferred payment terms pursuant to paragraph 27(1)(a) of SIMA. The paragraph 25(1)(d) export prices were based on the importer’s sale prices of the goods as assembled to non-associated purchasers, less deductions for all costs incurred in preparing, shipping and exporting the goods to Canada that were additional to those incurred on sales of like goods for use in the country of export, all costs incurred in selling the goods in Canada (including duties and taxes), the costs associated with the assembly of the goods in Canada and an amount for profit from sales of like goods in Canada by vendors at substantially the same trade level as the importer pursuant to paragraph 22(a) of the SIMR. A present value adjustment was also made to the selling prices to account for deferred payment terms pursuant to paragraph 27(1)(a) of SIMA. The test revealed that the export prices determined pursuant to section 24 were unreliable and therefore, export prices were determined pursuant to paragraph 25(1)(d) of SIMA. Although HHI’s other importer, Remington, is not related to HHI, confidential information provided by HHI and Remington shows that Remington is not operating at arm’s length with HHI. The CBSA has therefore, determined that HHI and Remington are associated and a reliability test was performed to determine whether the section 24 export prices between HHI and Remington were reliable as envisaged by SIMA. The section 24 export prices were based on the exporter’s selling prices, adjusted to take into account all costs, charges and expenses incurred in preparing the goods for shipment to Canada and resulting from the exportation and shipment of the goods. A present value adjustment was also made to the selling prices to account for deferred payment terms pursuant to paragraph 27(1)(a) of SIMA. The paragraph 25(1)(d) export prices were based on the importer’s sale prices of the goods as assembled to non-associated purchasers, less deductions for all costs incurred in preparing, shipping and exporting the goods to Canada that were additional to those incurred on sales of like goods for use in the county of export, all costs that were incurred in selling the goods in Canada (including duties and taxes), all costs associated with the assembly of the goods in Canada and an amount for profit from sales of like goods in Canada by vendors at substantially the same trade level as the importer pursuant to paragraph 22(a) of the SIMR. A present value adjustment was also made to the selling prices to account for deferred payment terms pursuant to paragraph 27(1)(a) of SIMA. The total normal value was then compared with the total export price for all subject goods released into Canada during the POI. The results revealed that the subject goods exported to Canada by HHI were dumped by a margin of dumping of 9.1% expressed as a percentage of the export price. The FCA set aside the original final determination and referred the matter back to the President for reconsideration. The primary issue referred back to the President for reconsideration was the amount for profit in Canada that was used in determining the export price of the imported goods pursuant to section 25 of SIMA. The FCA decision noted that a further explanation that addresses the reasons why it would be appropriate to use the profit of the company that manufactures and sells would be required to justify the use of such an amount in determining the amount for profit of a company that only imports the products that it sells. where the amounts described in paragraphs (a) and (b) cannot be determined, the amount of profit that generally results from sales of goods that are of the group or range of goods that is next largest to the category referred to in paragraph (b), by vendors in Canada who are at the same or substantially the same trade level as the importer, to purchasers in Canada who are not associated with those vendors. The objective of section 22 of the SIMR is to determine the amount for profit from sales of goods in Canada by vendors who are at the same or substantially the same trade level as the importer. This ensures that the associated importer is earning an amount for profit that is representative of the amount for profit earned in the Canadian market in order to eliminate possible secondary dumping and its injurious effects on Canadian producers. The use of the term "vendors” provides for a greater scope in selecting companies that can be included in the calculation of the amount for profit and the regulation does not limit the scope to only "importers” or "distributors”. "Vendors” includes both companies that make and sell goods and companies that buy and re-sell goods. Furthermore, this particular regulation contains the wording "same or substantially the same trade level as the importer” as an additional criteria for the selection of the type of vendor to be included in the profit calculation. The wording "or substantially the same level of trade”, provides for greater latitude in determining the level of trade of the vendors to be included in the amount for profit calculation. The power transformer industry is very unique in that transformers are capital goods that are acquired through a procurement process by electrical utilities and large industrial customers. These customers usually plan their needs several years in advance of delivery and then solicit bids according to their specifications. As such, a great deal of interaction is necessary between the manufacturer and the purchaser in order for the sale to be made. The nature of the power transformer industry is such that there are no independent distributors of large power transformers. All manufacturers of power transformers sell their product directly to the end user or through related divisions/distributors. Manufacturers do not produce a transformer unless a sale is made. Once the sale is made, considerable direct contact is necessary between the customer and the manufacturer in order for the transformer to be built to the specifications required by the customer. All manufacturers sell these goods by responding to requests for proposal (RFPs) that outline the various technical, delivery and service requirements and all provide significant after sales service including delivery, installation, field testing and warranty repairs., , ,  In brief, the selling and other functions that are performed by ABB, CG, HC and HICO, are the same despite the fact that ABB and CG manufacture their goods in Canada and HHI and Hyosung manufacture their goods in the Republic of Korea. For the end-user/purchaser in Canada, all suppliers of power transformers are at the same trade level as they are all fully integrated; from design and production through to delivery, installation and warranty work. The end-user/purchaser in Canada will purchase from a party associated with the exporter because the end-user knows that the manufacturer will be involved in all the key stages of the procurement process, regardless of where the manufacturer is physically located. Based on the foregoing analysis, the CBSA considers the functions performed by ABB and CG in selling to the end-users to be the same as the functions performed by HC and HICO in selling to the end-users. Consequently the CBSA considers ABB and CG to be vendors at substantially the same trade level as the importers and considers it appropriate to include the profits made by ABB and CG in the determination of the amount for profit to be deducted in determining the export prices pursuant to paragraph 25(1)(d) of SIMA. In making its ruling, the FCA also stated that there did not appear to be any adjustment made to the amount for profit of the two complainants (both of which manufactured power transformers) before their respective amounts for profit were used in the calculation of the profit amount, nor was any rationale provided to explain why no adjustment was made. There are no provisions in the SIMR that provide for an adjustment to be made to the amount for profit earned by vendors in Canada. Once it is determined that vendors are at the same or substantially the same trade level as the importer, then these vendors are to be included in the calculation of the amount for profit pursuant to section 22 of the SIMR, without adjustment. In addition to the fact that there are no provisions in the SIMR that provide for such an adjustment, it is generally accepted that profit is only earned when a sale is made by comparing revenue to expenses. Manufacturers expect to make a profit by generating revenue in excess of all expenses, including the cost of manufacturing. Distributors expect to make a profit by generating revenue in excess of all expenses, including the cost of acquiring the goods they resell. For both the manufacturers and distributors, profit is only recognized when the finished product is sold. As such, there is no way for the CBSA to make an adjustment to the amounts for profit reported by ABB and CG on their sales of like goods sold in Canada. In conducting the profit survey for this reconsideration, the CBSA attempted to obtain profit information for calendar years 2010 and 2011 as well as the POI from all known vendors of the like goods, goods of the same general category (those being all liquid dielectric transformers regardless of size) and the group or range of goods that is next largest to goods of the same general category in Canada. The CBSA has determined the amount for profit in the manner prescribed in paragraph22(a) of the SIMR, based on the financial information relating to the four vendors that operated at a profit during the period of January 1, 2010 to December31,2011. These four vendors are ABB, CG, HC and HICO. The amount for profit is calculated to be 8.69%. This amount is lower than the 12.55% determined at the time of the original final determination as a result of new information obtained from parties that had not provided profit information during the original investigation. Following the September 7, 2012 close of the record for the purposes of the original investigation, case arguments were received on behalf of ABB and CG and on behalf of Hyosung and HICO. Reply submissions were also received on behalf of ABB and CG, on behalf of HHI and HC and on behalf of Remington. As part of the CBSA’s reconsideration following the referral back by the FCA, interested parties were invited to present additional case arguments following the January 20,2014 close of record. Case arguments were received on behalf of ABB and CG, on behalf of Hyosung and HICO, on behalf of HC and on behalf of the Canadian Steel Producers Association. Reply submissions were also received on behalf of ABB and CG, on behalf of HC and on behalf of Hyosung and HICO. The issues raised by the participants in the case arguments and reply submissions received during the original investigation and received during the reconsideration process, along with the CBSA’s response to these issues, are provided in Appendix 2. Based on the results of the investigation and reconsideration, the President is satisfied that certain liquid dielectric transformers originating in or exported from the Republic of Korea have been dumped and that the margin of dumping is not insignificant. Consequently, on March 6, 2014, the President made a new final determination of dumping pursuant to paragraph 41.1(1)(a) of SIMA. Appendix 1 contains a summary of the margins of dumping relating to the new final determination. As a result of the new final determination, anti-dumping duty has been re-imposed on imports of subject goods. The Canadian International Trade Tribunal has been informed of the new final determination pursuant to paragraph 41.1(1)(b) of SIMA. The importer in Canada shall pay all applicable duties. If the importers of such goods do not indicate the required SIMA code or do not correctly describe the goods on the customs documents, an administrative monetary penalty could be imposed. The provisions of the CustomsAct apply with respect to the payment, collection or refund of any duty collected under SIMA. As a result, failure to pay duty within the prescribed time will result in the application of interest. Normal values will be provided to the cooperating exporters for future shipments to Canada. Information regarding normal values of the subject goods should be obtained from the exporter. Where a specific normal value has not been determined, the normal value will be established by advancing the export price by 101% based on a ministerial specification pursuant to section 29 of SIMA. The advance is based on the highest amount by which the normal value exceeded the export price on an individual transaction for a cooperating exporter. Anti-dumping duty will apply based on the amount by which the normal value exceeds the export price of the subject goods. A notice of the new final determination of dumping will be published in the Canada Gazette pursuant to paragraph 41.1(1)(b) of SIMA. NOTE: The margins of dumping reported in this table are the margins determined by the CBSA for purposes of the new final determination of dumping. These margins do not reflect the amount of anti-dumping duty to be levied on future importations of dumped goods. Information regarding specific normal values has been provided to the co-operating exporters for future shipments to Canada and these normal values come into effect as of the date of the new final determination. Information regarding normal values of the subject goods should be obtained from the exporter. Imports from exporters who are not listed in the table above will be subject to an anti-dumping duty rate of 101%, expressed as a percentage of the export price, based on a ministerial specification. Please refer to the SIMA Self-Assessment Guide for more detailed information explaining how to determine the amount of SIMA duties owing. In the original investigation, case arguments were received on behalf of the complainants, ABB and CG, and also on behalf of Hyosung and HICO by the September 14, 2012 deadline. Reply submissions were received on behalf of ABB and CG, Remington and HHI and HC by the September 21, 2012 deadline. As part of the CBSA’s reconsideration, the CBSA’s administrative record for the investigation was reopened and interested parties were invited to present additional case arguments and reply submissions. Case arguments were received on behalf of ABB and CG, Hyosung and HICO, HC and the Canadian Steel Producers Association by the January 27, 2014 deadline. Reply submissions were received on behalf of ABB and CG, Hyosung and HICO and also on behalf of HC by the February 3, 2014 deadline. Counsel for ABB and CG argued, in their case arguments for the original investigation, that the CBSA should exclude certain domestic sales when determining the amount for profits for Hyosung used in its normal value calculations in order to ensure that there is comparability between customers with similar purchasing power in the export market. In addition, counsel argued that the CBSA has the discretion to set the period for which domestic profitability is assessed and that the CBSA may frame this period based on the date of shipment, sale or order. Counsel argued that the CBSA should apply the same profitability analysis period for all exporters. Counsel for Hyosung and HICO argued that the CBSA should modify its selection of domestic sales in the PAP for purposes of establishing the amount for profits pursuant to subparagraph 11(1)(b)(ii) of the SIMR used in its normal value calculations and that the CBSA should not exclude domestic sales made to certain Hyosung customers for purposes of establishing the amount for profits in accordance with subparagraph 11(1)(b)(ii) of the SIMR. No additional arguments were provided for purposes of the reconsideration. During the preliminary phase of the original investigation, the CBSA chose the date of direct shipment rather than the purchase order date to select the domestic sales for the purpose of determining the amount for profits. In light of the representations received, the CBSA reviewed its position on this issue during the final phase of the original investigation. The CBSA concluded that the date of direct shipment is the most relevant date to be used in selecting the domestic sales used to calculate the amount for profits in the domestic market. The CBSA therefore, selected domestic sales that were shipped during the PAP (i.e., from January 1, 2010 to March 31, 2012). These domestic sales occurred at the same or substantially the same time as the sales of the subject goods that were released into Canada during the POI. In selecting domestic sales in this manner, the CBSA was able to avoid using sales during the PAP that were sold but not yet produced and/or shipped, as the costs associated with the manufacture and/or shipment of those goods would not have been fully realized. The POI for this investigation relates to all subject goods released into Canada from October 1, 2010 to March 31, 2012. As such, the CBSA looked at all shipments of the subject goods imported into Canada during this time period. All of the sales for these shipments occurred during a period from mid-2009 to early 2011. In accordance with paragraph 13(a) of the SIMR, the sales selected by the CBSA for the amount for profits were those sales that satisfied the greatest number of conditions as set out in paragraphs 15(a) to (e) of SIMA, taking into account subsection 16(1) of SIMA. Adjustments to the Normal Value to Account for Trade Level Differences. Counsel for ABB and CG argued in their case arguments for the original investigation, that the CBSA should not grant any trade level adjustments. Counsel for Hyosung argued that the CBSA should adjust Hyosung’s normal value calculations to account for domestic purchasers who are at the trade level nearest and subsequent to HICO pursuant to paragraph 9(a) of the SIMR. Counsel for ABB and CG reiterated that the CBSA should not grant a trade level adjustment with respect to Hyosung’s normal value calculations. With respect to Hyosung’s normal value calculations, in determining the amount for profit on domestic sales an adjustment was made to the selling prices to account for differences between the trade level of the importer and the trade level of the purchasers in the exporter’s domestic market in accordance with paragraph 9(a) of the SIMR. Refer to the Results by Exporter section of this Statement of Reasons for additional details on the determination of normal values for Hyosung. Counsel for ABB and CG argued, in their case arguments for the original investigation, that the CBSA should make certain adjustments pursuant to paragraph 5(d) of the SIMR and section 27 of SIMA to the exporters selling prices, to account for credit sales of goods sold to the importer in Canada. The CBSA used the information on the record to make present value adjustments to Hyosung and HHI’s selling prices to account for deferred payment terms pursuant to paragraph 27(1)(a) of SIMA. Refer to the Results by Exporter section of this Statement of Reasons for additional details on the determination of export prices for Hyosung and HHI. Counsel for ABB and CG argued, in their case arguments for the original investigation, that the CBSA should make certain adjustments, identified in the brief as confidential, to HHI’s selling prices. The CBSA used the information on the record to determine export prices and the resulting margins of dumping in accordance with the provisions of SIMA and the SIMR. Specific details by exporter, addressing the export price adjustments performed by the CBSA, were presented in the Results by Exporter section of this Statement of Reasons. Counsel for ABB and CG made representations in their case arguments for the original investigation regarding the potential incomplete and/or inconsistent reporting of spare parts and accessories. The sales of Power Transformers, both to Canada and in the Korean market, often include spare parts and accessories, such as extra bushings, monitoring equipment and tap changers. The product definition refers to liquid dielectric transformers having a top power handling capacity equal to or exceeding 60,000 kilovolt amperes (60 megavolt amperes), whether assembled or unassembled, complete or incomplete. 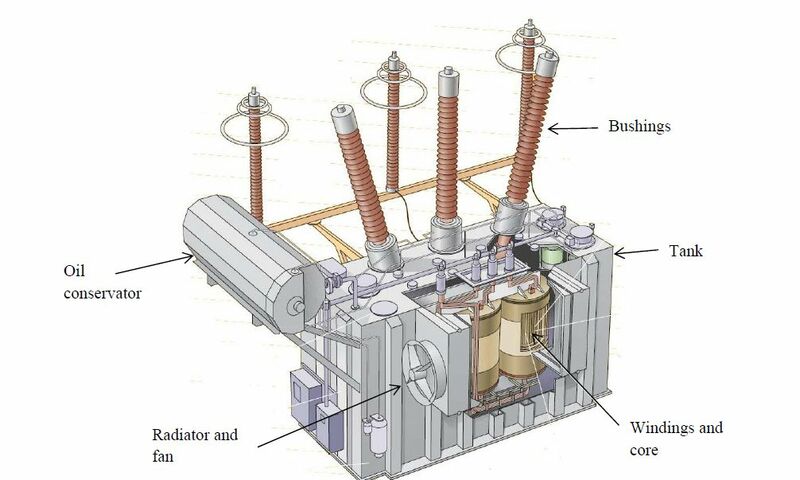 Incomplete Power Transformers are subassemblies consisting of the active part and any other parts attached to, imported with or invoiced with the active part of the Power Transformers. Accordingly, spare parts and accessories when invoiced with the subject goods form part of the product definition. The CBSA took special care to correctly account for spare parts and accessories in both the normal value and export price calculations. Whether Remington Should be Considered Associated to HHI. Counsel for ABB and CG argued in the original investigation that the conditions of subparagraph 25(1)(b)(i) of SIMA apply to Remington in that they should be considered associated persons. Counsel for Remington argued that ABB and CG have misrepresented the record provided to the CBSA by Remington in an attempt to confuse the commercial relationship between Remington and HHI and that ABB and CG have manipulated the record submitted by Remington and HC by referencing certain sales. Based on confidential information provided by HHI and Remington during the investigation, the CBSA determined that Remington is not operating at arm’s length with HHI. As such, the CBSA determined that HHI and Remington are associated pursuant to paragraph 2(2)(b) of SIMA, and therefore, the conditions of subparagraph 25(1)(b)(i) of SIMA apply to Remington. A reliability test was performed to determine whether the section 24 export prices between HHI and Remington were reliable as envisaged by SIMA. Based on the results of the reliability test, the CBSA determined the export prices for sales between HHI and Remington pursuant to paragraph 25(1)(d). Counsel for ABB and CG argued, in their case arguments for the original investigation that due to certain deficiencies, identified in the brief as confidential, the CBSA should reject Remington’s downstream sales database and not use Remington’s financial data in the calculation of the amount for profit for purposes of section 25 of SIMA. Counsel for Remington argued that the amount for profit for the subject goods can be derived directly from Appendix B of its submission whereby the resale prices, acquisition costs and all selling expenses (other than general expenses which can be applied as a ratio from the financial statements) have been detailed. Counsel stated that Remington has performed its best efforts to produce a financial statement that would satisfy the CBSA and this statement has been verified through supplemental requests for information and that Remington’s financial information therefore, should not be disregarded for purposes of calculating an industry profit. Counsel for HHI and HC presented similar arguments that supported Remington’s representation on this subject. The CBSA has found Remington’s submission to be sufficiently complete. As such, CBSA used the information on the record provided by Remington and its related supplier to determine normal values, export prices and the resulting margins of dumping in accordance with the provisions of SIMA and the SIMR. Counsel for ABB and CG argued that the purpose of section 25 of SIMA is to obtain an estimated or deduced arm’s length export price. As such, the use of data from non-arm’s length parties within the calculation of an amount for profit would be self-defeating and circular. Counsel further argued that the use of data from non-arm’s length parties would mask and encourage hidden dumping. Counsel argued that ABB and CG are at substantially the same trade level as the importer and that the President’s existing practice of placing greater importance on selling functions in making this determination is justified. Counsel argued that once the President has identified that ABB and CG both operate at substantially the same trade level as the importer, adjustments to the profit data are neither required nor reasonably feasible. Counsel further argued that injurious dumping has distorted the profit obtained by domestic manufacturers and that the CBSA should adjust the data to account for this distortion. Counsel for the Canadian Steel Producers Association (CSPA) presented similar arguments that support ABB and CG’s representation. Counsel for Hyosung and HICO argued that allowances must be made to provide a proper comparison between the export price and normal value and to reflect the expectation of profit for a re-seller of the goods. Counsel argued that the President has a sufficient number of profit samples on the record to establish an amount for profit that is based exclusively on sales of imported transformers and that this represents the best available data. Counsel further argued that adjusting the profit amount of a vendor that has both a manufacturing function and a selling function would give rise to significant issues, challenges and deficiencies and that performing such adjustments is not necessary, given the presence of a readily available record of profit. Counsel for HC argued that the President has sufficient information to apply the provision of paragraph 22(a) of the SIMR through the use of profits derived from the purchase and resale of imported power transformers by ABB, HICO America and HC and that other information must therefore, be disregarded. Counsel for ABB and CG noted that the Supreme Court of Canada has interpreted "ordinary course of trade” as excluding transactions between a parent and a wholly-owned subsidiary. As such, it argued that the President should calculate the industry profit for the purposes of export price calculations in a certain manner, identified in the brief as confidential. In the event the President determined that insufficient data was available, there would be appropriate justification to use Statistics Canada profitability data. Counsel for Hyosung and HICO argued that there is no authority to disregard the information submitted by the importers of the subject goods on the basis that the importers are affiliated with the exporters. Counsel noted that the SIMA handbook specifically and expressly provides for the use of information obtained from firms importing from related exporters for the purposes of calculating an amount for industry profit in accordance with subparagraph 25(1)(d)(i). In addition, counsel argued that due to the relatively small size of the Canadian market, excluding the data obtained from these firms would not be workable. Counsel for Hyosung and HICO argued that manufacturers operate at the highest level of trade and importers/distributors that only perform selling functions operate at a substantially different trade level. Counsel noted that a manufacturer undertakes the greatest capital investment and financial risk and must be compensated accordingly. Counsel argued that regardless of the similarities that can be drawn between selling and ancillary functions of the parties involved, the performance of the manufacturing function alone is sufficient to place the manufacturer at a substantially different trade level than the importer/distributor. Counsel argued that in their representations, ABB and CG ignore the importance of the manufacturing function in determining the trade level of a vendor. It noted that a distributor who only performs a selling function could be considered to be at substantially the same trade level as an importer, even if minor ancillary functions differ among the parties. Counsel argued that the President should only use profit information from a domestic producer if an adjustment is performed to segregate the amount for profit attributable to the selling function. Counsel argued that there is no legal basis to support the case arguments presented by ABB and CG concerning performing downward adjustments to the amount for profit to counter the effects of price distortion caused by injurious dumping of the subject goods. In their reply submission at the time of the initial investigation, counsel for HHI and HC argued that the complainants are producers of subject and non-subject goods and are not at the same trade level as the importers for the purpose of calculating an amount for industry profit pursuant to paragraph 22(a) of the SIMR. In their reply submission filed at the time of the President’s reconsideration of the final determination, counsel for HC presented similar arguments that supported Hyosung and HICO’s representation on this subject. Counsel made a number of representations surrounding the issue of the methodology to determine the amount for profit for purposes of section 25 as follows: whether profit from parties that are operating at non-arm’s length should be included in the calculation, whether the parties to be included should only be importers, whether the Canadian producers’ profit can be included in the calculation, whether the Canadian producers’ profit should be adjusted to remove manufacturing profit, whether the Canadian producers’ profit should be adjusted due to distortions that resulted from injurious dumping and whether the President has sufficient information on the record to determine the amount for profit. The CBSA determined that it is permissible to include profit from parties that are operating at non-arm’s length in the calculation of the amount for profit. Section 5.10.2.3. of the SIMA Handbook contains further guidance on determining the amount for profit and states in part "the vendors to be considered should include, where possible, Canadian producers, the importer, other importers and other vendors sourcing goods in Canada”. As to ABB’s representation referencing the Supreme Court decision that the "ordinary course of trade” should exclude transactions between a parent and a wholly-owned subsidiary, this is not the situation in this case. ABB’s imports from its related company are not a parent/subsidiary situation, but rather a sale between associated parties. The CBSA considers it appropriate to include profit from ABB’s imports in the calculation of the amount for profit for vendors in Canada. As to which parties should be included in the calculation of the amount for profit, the SIMR requires the CBSA to determine an amount for profit for vendors in Canada of like goods. Vendors include more than just importers and/or distributors. Vendors include both companies that make and sell goods and companies that buy and re-sell goods. Determining an amount for profit for vendors ensures that the associated importer is earning an amount for profit that is representative of the amount for profit earned in the Canadian market, in order to eliminate possible secondary dumping and its injurious effects on Canadian producers. In this case, the CBSA has determined that the Canadian producers are vendors of like goods in the Canadian market. Furthermore, the CBSA has determined, based on an analysis of the functions performed by the Canadian producers in selling to the end-users and the functions performed by the related importer in selling to the end-users, that these vendors are at substantially the same level of trade as the importer and therefore, it is appropriate to include the profits of like goods earned by the Canadian producers in the calculation of the amount for profit for purposes of section 25 of SIMA. As to the issue of adjusting the profit of the Canadian producers to remove the manufacturing component, there are no provisions in SIMA or the SIMR that provide for an adjustment to the amount for profit earned by vendors in Canada. Once it is determined that vendors are at the same or substantially the same trade level as the importer, then these vendors are to be included in the calculation of the amount for profit pursuant to section 22 of the SIMR, without adjustment. As indicated earlier in the section concerning the Dumping Investigation, the President had sufficient information on the record to enable the determination of an amount for profit for vendors in Canada of like goods pursuant to paragraph 22(a) of the SIMR and as such, the remaining paragraphs of SIMR 22 were not considered in establishing an amount for profit. In its brief filed for the purposes of the President’s reconsideration of the final determination, counsel for Hyosung and HICO argued that by including an unadjusted profit of the complainants in the calculation of the amount for profit to be deducted from the export price pursuant to paragraph 25(1)(d), a "double counting” of the manufacturing profit occurs, since there is already a manufacturing profit included in the normal value. Counsel also pointed out that the Court concluded that decreasing the export price by deducting an amount for profit attributable to the manufacturing function at the same time as increasing the normal value by including an amount for profit attributable to the manufacturing function was neither reasonable nor correct, without providing any further explanation, and that it was on this basis that the Court set aside the President’s final determination of dumping and referred the matter back to the President for reconsideration. Counsel for ABB and CG argued that "double counting” is not relevant to the CBSA’s analysis. Counsel explained that the profit determination, by definition, is an exercise in deriving a reasonable estimate. Counsel further argued that the notion of "double counting” is neither discussed nor prohibited in SIMA. Counsel for Hyosung and HICO argue that the complainants make no attempt in their case arguments to address the issue of the double counting of an amount for profit attributable to the manufacturing function that is caused by holding the domestic manufacturers at substantially the same trade level as the importers without making adjustments to account for the substantial difference in trade level due to the manufacturing function. The sections of SIMA with respect to the determination of normal value are distinct from those concerning export price. In determining the normal value, adjustments, including those pertaining to the level of trade, are made where appropriate, in accordance with the SIMR. Similarly, in determining the export price, adjustments are made in accordance with the legislation. As was noted earlier, there are no provisions in SIMA or SIMR which provide for an adjustment to the amount for profit that is determined pursuant to section 22 of the SIMR. In its brief filed for the purposes of the President’s reconsideration of the final determination, counsel for ABB and CG argued that the FCA’s decision is entirely permissive and that the CBSA may make a finding that domestic manufacturers operate at substantially the same trade level as the importers by providing further explanation to support this conclusion. Counsel for the CSPA presented similar arguments that support ABB and CG’s representation. Counsel further argued that the methodology used by the CBSA in identifying parties that are at substantially the same trade level at the time of the original final determination was consistent with SIMA, SIMR and the SIMA Handbook. Counsel for Hyosung and HICO argued that the FCA’s reasons indicate that an amount for profit that is attributable to a manufacturing function cannot be used to determine the amount for profit of a company that only sells and imp orts goods. Counsel further argued that the President may only use an amount for profit resulting from sales by a vendor in Canada that has performed both the manufacturing and selling functions, if an adjustment is made to eliminate the amount for profit attributable to the manufacturing function. Counsel for HC argued that the FCA’s decision has disallowed, absent an explanation, the inclusion and co-mingling of manufacturing profits and profits derived from importation, distribution and resale in Canada of power transformers. Counsel for ABB and CG argued that HC and HICO have misinterpreted the FCA’s decision and that the CBSA may use the profit from domestic manufacturers, without adjustment, in the calculation of an amount for profit if the CBSA provides sufficient rationale to do so. Counsel notes that ABB and CG have provided ample evidence to show that they are at substantially the same trade level as HC and HICO and that ample legal rationale has been provided to support the methodology of focusing on selling functions and competition among parties to identify vendors that are at substantially the same trade level to the importer. Counsel for Hyosung and HICO disputed ABB and CG’s interpretation of the ruling and argued that the Court’s reasons required more than a "further explanation” of the President’s original determination. It noted that the Court was requiring the CBSA to either make an adjustment to account for the amount for profit attributable to the manufacturing function of the domestic manufacturers, or to justify why such an amount should remain included despite the double counting problem to which this gives rise when the margin of dumping is calculated. Counsel for HC presented similar arguments that supported Hyosung and HICO’s representation on this subject. paragraph 25(1)(d) of SIMA. In this regard, the new final determination was made in accordance with the reasons stated in the decision of the FCA. In its brief filed for the purposes of the President’s reconsideration of the final determination, counsel for ABB and CG argued that a finding of targeted dumping would be warranted in the event of a material downward revision of the amount for profit that is used to calculate the export price under section 25 of SIMA. Counsel for Hyosung and HICO argued that targeted dumping is outside the scope of the present proceedings. Counsel submitted that the investigation be solely concerned with the reconsideration of the final determination, in accordance with the reasons of the FCA, regarding the amount for industry profit established under subparagraph 25(1)(d)(i) of SIMA. Counsel for HC presented similar arguments that supported Hyosung and HICO’s representation on this subject. Counsel further argued that the President has no jurisdiction in his reconsideration to change his method of determining margins of dumping. Counsel argued that ABB and CG have not presented any evidence to warrant the consideration of targeting dumping and that the commercial realities involved in the sale of the subject goods make these allegations implausible. Targeted dumping occurs in cases in which where there are significant variations in the prices of the goods of an exporter among purchasers, regions in Canada or time periods. Subsection30.2(2) of SIMA provides the President with a methodology to determine the margin of dumping when targeted dumping is occurring. Since the FCA set aside the original final determination, the President was required to reconsider the matter and make a new final determination of dumping. As a result of the President’s reconsideration of the matter, the amount for profit deducted in determining export price pursuant to paragraph 25(1)(d) of SIMA was revised, resulting in revised export prices. Consequently, because the export prices determined pursuant to paragraph 25(1)(d) changed the CBSA was required to determine the new margin of dumping in accordance with the relevant provisions of SIMA. As the issue of targeted dumping was raised in the complaint and during the reconsideration process, the CBSA conducted a targeted dumping analysis in order to specify the margin of dumping of the goods and make the new final determination. The power transformer industry is unique in that it produces capital goods that are manufactured to meet precise specifications of electrical utilities and large industrial customers. Power transformers can vary greatly in size and value, and even within the same size (MVA) there can be significant variations in the cost depending on the customer’s requirements. While there are variations in the individual transaction prices, the CBSA’s analysis indicates that there is no evidence of targeted dumping. In its case brief filed for the purposes of the President’s reconsideration, counsel for HC presented a calculation of the industry profit amount that excluded non-operating costs pertaining to financial expenses. Counsel for ABB and CG argued that financial revenue and expenses are an integral part of a business and that they impact the profit a vendor would expect to achieve. As such, counsel argued that they should not be ignored in the CBSA’s profit determination. In determining the amount for profit pursuant to section 22 of the SIMR, the CBSA used the information on the record and calculated each vendor’s profit on the same basis, allowing non-operating costs to offset, but not exceed non-operating revenues. This is consistent with the CBSA’s treatment of the offset of non-operating revenue and expenses in the calculation of the cost of goods in determining normal values. CBSA Exhibit 34, Response to Importer RFI from Hyundai Canada Inc.
 CBSA Exhibit 35, Response to Importer RFI from Remington Sales Inc.
 CBSA Exhibit 2, Dumping Complaint filed by ABB and CG Power. CBSA Exhibit 243, Case Argument for President’s Reconsideration filed by ABB and CG Power.